Looking for ladies' polo shirts? We have a huge range of stylish polo-neck designs here at My Printed Clothing, and every one of them can be personalised with your own design. Whether you want to provide branded workwear for your female employees or create some great-looking tops for a hen party, our personalised polo shirts are the perfect solution! 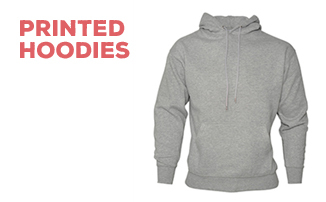 Our website makes it easier than ever to order your customised clothing. Simply browse through our collection of polo shirts for women and click on whichever one you like; you will then be able to choose a colour, specify sizes, and upload your custom design. Scroll down to see our full range of ladies' polo shirts. If you get stuck, feel free to give us a call on 0845 850 9836. As you can see, we offer a massive variety of women's polo shirts here at My Printed Clothing. With dozens of different styles to choose from, you can specify exactly which type of garment you want - choose from fitted cuts, sleeveless garments, rugby-style polo shirts, and more! Our customised polo shirts are particularly popular among business owners, who frequently use My Printed Clothing to provide their workers with comfortable, professional-looking branded tops. That said, our personalised polo shirts aren't just for business - we've also supplied hundreds of garments for hen parties and other occasions. My Printed Clothing's personalisation service allows you to decorate your polo shirts with whatever you want. Whether it's your company's logo or something a little more fun, it's bound to look great on our polo shirts. We don't just sell polo shirts for women - we also have a men's range, as well as a great selection of polo shirts for kids.